2019 is the international year of indigenous languages. 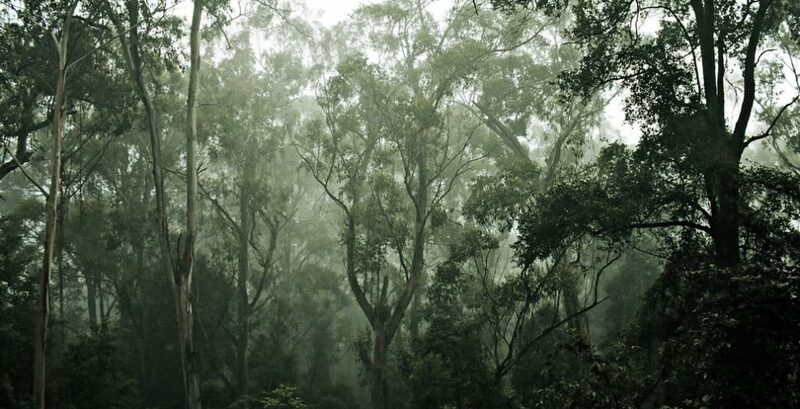 A favourite story this month suggests we learn the original names of Australian trees. Dominating news so far this year are discussions of the rapidly-increasing effects of climate change. It’s not all bad though. And as Australia’s federal budget promises a swag of new infrastructure projects, we look to an old Sydney favourite to shed light on the politics of urban transport. Mitigating the effects of climate change just got real. Roughly 850,000 homes in Australia — nearly one in 10 — could be “uninsurable” within a few generations unless there are fundamental changes to where and how properties are built, a leading climate analyst says. With the insurance industry already on the brink of dangerous market failure, taxpayers may soon be picking up the bill for recovery. This gives new impetus to design intervention and arguments for appropriate site development, materials choice and ongoing calls for investment in sustainable building and landscape practices. Slipping into April, this is no fool’s joke. This new series repeatedly, unambiguously, and urgently, reminds its viewers that the wonders they are witnessing are imperiled by human action. The dilemma of wildlife documentary makers is also that of landscape designers – and everyone involved in land development: how do we find and represent the beauties of nature while sharing the compelling difficulties and dangers of what is learnt through that search? How might the relatively small gardens we can build have resonance with the wonderful and terrible conditions of wider threatened landscapes? To anyone who has been paying attention, the broad strokes of David Wallace-Wells’s new book “The Uninhabitable Earth” come as no surprise. We are racing toward—in fact have already entered—an era of water shortage, wildfire, sea-level rise, and extreme weather. To read the book is to ask hard questions about one’s own future. Yet Wallace-Wells has also stressed that there is no place for fatalism. The thing to grieve is not the Earth’s habitable climate but, instead, the century of carefree car-driving and reckless deforestation, meat-eating and flying around the world. Overhauling the fossil-fuel economy will represent a true loss… But to do anything less is to go insane. In the latest of several good-news stories about the potentials of commercialising and sharing indigenous foods, an academic looks to help establish a boat-to-table market in Tasmania bringing together restaurant chefs and Indigenous fishing. Trawlwulwuy woman Emma Lee is one of many people working to advance Indigenous tourism, inspired by the Winter Feast at last year’s Hobart’s Dark Mofo festival which showcased fresh seafood made with native ingredients. A key component of the nightly fireside gatherings was explaining the provenance and traditions around the food guests were eating.